Ever wonder what your dog or cat is staring at when you see nothing at all? Could it be a ghost? When you see something out of the corner of your eye, you may shrug it off as being a figment of your imagination. Animals don’t judge whether something is real or not, they simply react to the change in the environment. Also, because dogs and cats have a heightened sense of hearing and smell and sight, they may sense something we cannot detect. Stories abound about dogs acting oddly – pacing, barking, running, whimpering – as if sensing a ghostly presence. Dogs see some of the ultraviolet spectrum (which we cannot see), and can hear higher frequencies, which may be why they sense ghosts more often than we do. 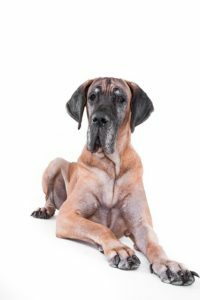 A woman named Lacy was asleep along with her husband and Great Dane, Bellatrix. In the middle of the night she heard a man say hello. She shrugged it off until she heard the man say the word again. This time Bellatrix heard it too and began growling and barking at the ceiling. When providing psychic readings, I will often notice “ghost pets,” follow their owner into the room where I am giving a reading, especially if the pet has recently passed away. This tells me that love that is shared always remains, even after pets die. Oftentimes, pets perceive danger before we do. I will never forget the time I had a fire in the kitchen of my home. I was walking down the hallway when my little black cat, Pretty Girl, came streaking towards me in a sprint while meowing loudly. I heard in my head, “the kitchen is on fire.” I ran to the kitchen and put out the fire before it was out of control, thanks to my cat. She is my hero as she saved me, her fur buddies and the house that day. There are many stories about pets who protect their humans in dangerous situations as well. Holly, a domesticated short-hair calico cat, was just a year old when she came to the rescue of a father and his three-year-old son. A pair of dogs were attempting to attack the little boy while he and his dad were outside. The cat leaped into action and drew the dogs away and into the house where a battle ensued. It took two people to pry one of the dogs and the cat apart. She survived. After that fateful day, the cat began guarding the inside perimeter of the house and the little boy’s room on a daily basis. Then there’s the story out of a Providence, Rhode Island concerning a cat who was adopted in 2005 by the Steere House Nursing and Rehabilitation Center. In more than 100 cases, Oscar would choose to nap next to a patient who would die within a couple of hours. Oscar has been the subject of multiple books about him and was featured in an article in the New England Journal of Medicine. Animals in the wild have the ability to sense not only danger, but weather-related disasters as well. 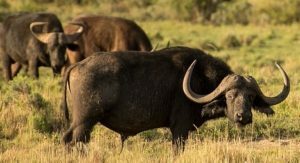 In 2004, villagers in Bang Keoy, Thailand, noticed a herd of buffalo lift their heads, look out towards the sea, then scurry to higher ground. Those people that followed the animals to higher ground survived a cataclysmic tsunami. In 373 B.C., in the Greek city of Helice, it was recorded that rats, snakes and weasels left the city shortly before a devastating earthquake happened. In 1975, in Haicheng in Liaoning Province, China, scientists noticed farm animals and birds acting strangely. When scientists looked at other changes such as a drop in ground water levels, they decided to act and evacuated the city. Shortly after, a 7.3 magnitude earthquake occurred, resulting in the death of more than 2,000 people. The situation could have been far worse, as the city had a total population of 1.5 million. In my experience, wild birds change their tune when a tornado is about to occur. I’ve noticed they disappear in the trees and go silent just before it strikes. Do animals feel slight tremors in the ground or electrical changes in the air indicating extreme weather, or are they psychically attuned? Domesticated pets are not the only ones who save human beings in tough situations; wild animals have been known to come to the rescue as well. In 2007, a young man named Kevin Hines attempted suicide by jumping off the Golden Gate Bridge in San Francisco. The jump did not kill him, but it did break his back and shatter his vertebrae. Unable to swim to shore and starting to sink, he felt something brushing him and looked down to find a sea lion nudging him to keep him above water until authorities could rescue him. 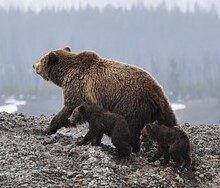 In March 2012, Robert Biggs of Paradise, California, was watching a mother bear and her cubs from a safe distance. In the next moment, Biggs was struggling to survive as a mountain lion attacked him unexpectedly from behind. Who should come to the rescue but the momma bear, who pulled the cat off of Biggs and fought with the mountain lion until the mountain lion ran away. One of my favorite stories concerning animal intuition comes from South Africa. 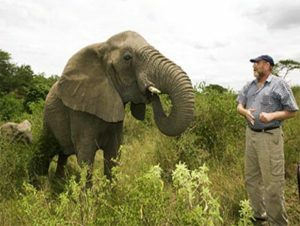 Lawrence Anthony, a conservationist and author, rehabilitated rogue, wild elephants at the Thula Thula game preserve. Known as the Elephant Whisperer, Anthony had a knack for calming the rescued elephants and establishing bonds of trust and love. The day Anthony died, the elephants somehow sensed his passing. Two herds of elephants traveled for miles to Anthony’s home to mourn the death of the man they loved. They stayed for two days to say goodbye. 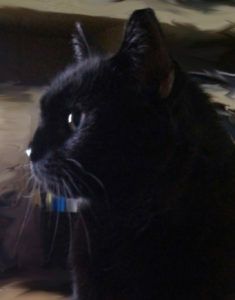 For several years now, I’ve attempted to link telepathically with my pets. My old dog Charlie Bear and I were telepathically linked, which was convenient, as I never had to call his name out loud for him to come to me or respond to my commands. These days, my animals hear me, but that doesn’t mean they choose to listen or respond (stubborn!). That said, here are some steps you can use to communicate with your pet on a telepathic level. (Steps provided by howstuffworks.com). Use your mind to connect with your animal’s energy. (Feel it). Call out your pet’s name telepathically to get your pet’s attention. Ask your pet a question by visualizing a picture in your mind. Wait for a response. You may hear a childlike voice or you may see pictures. Note: I once heard my chihuahua speak in a childlike voice, which was cool and a little unnerving. Acknowledge to your pet that you received a response.